At the edgers for precise timing of automatic width control. 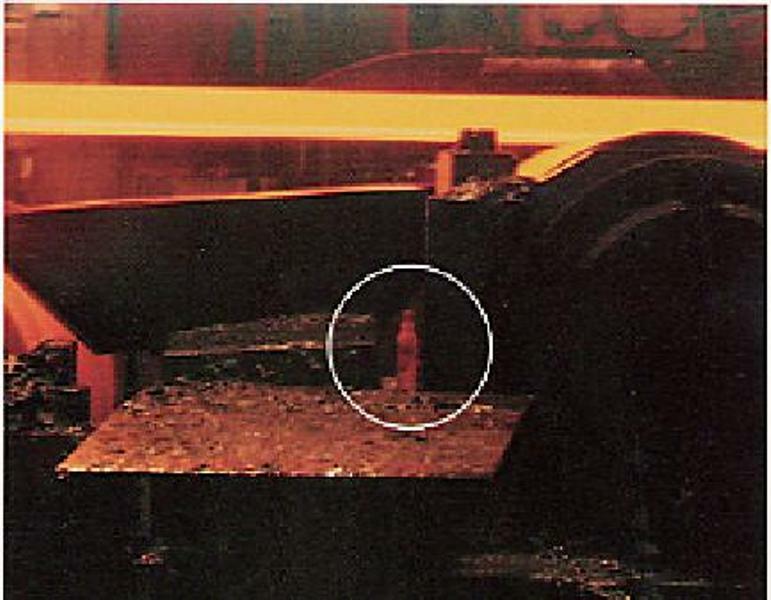 The IRIS (InfraRed Intelligent Sensor) is a precision hot metal detector specifically designed to meet the most challenging requirements in hot rolling mills. ¨Combining fiber optic technology with state-of-the-art electronics, the IRIS is the finest hot metal detector available today. ¨The IRIS is comprised of three major elements : a fiber optic system which detects light from the material, a stainless steel mechanical system which positions and protects the optical system in the line and an electronic Sensor Control Unit which reacts to the presence or absence of light in the optical system. The optical front end of the IRIS consists of a small diameter lens securely mounted to a locating spider. 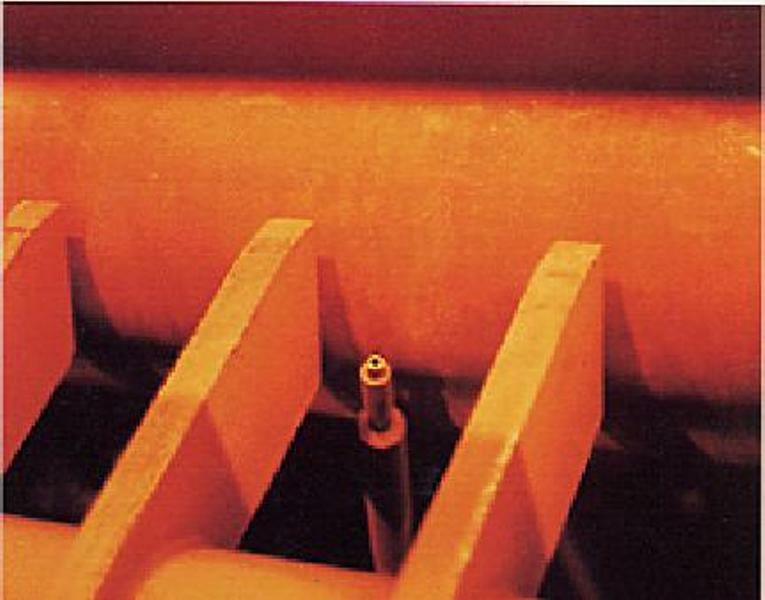 The efficient design of these components allows this assembly to fit inside a one inch diameter pipe, enabling the sensor to be positioned in tight spaces beneath the roll line. ¨The lens focuses infra-red light onto a fiber optic bundle which transmits the light energy to the electronics enclosure. The photo-detector is the latest in a new generation of diodes, incorporating great sensitivity and speed of response. ¨The photo-detector senses the presence or absence of light in the fiber optic bundle in just a few microseconds. ¨The IRIS is easily configured to suit the customer's unique applications. DIP switches are provided to adjust the gain of the sensor and the switching threshold. ¨IRIS outputs are switched 'ON' or 'OFF' signalising the presence or absence of light, respectively. The turn-off time has a DIP switch configurable delay, permitting the sensor to ignore cold spots, or patches of scale, etc. Only the IRIS from DELTA comes complete with all the necessary hardware to mount and protect the unit in a rolling mill. All the basic mechanical components are made of stainless steel. The main mechanical component is a one inch stainless steel pipe, bent and cut to required dimensions.